At Bloom Dental of Arlington, our dentists restore and enhance the beauty of your smile using the highest standards of dentistry and patient care services. No matter the type of dental treatment you are in need of, the staff at our office will ensure you feel comfortable and receive expert-level dental care. Our family practice in the D.C. Metro Area is always welcoming new patients. In fact, do you want to be a part of a family dental practice that offers same-day, weekend, and emergency appointments? Do you live in or around Arlington, Fairfax, Tysons Corner, Ballston, or Alexandria, VA? Then Bloom Dental of Arlington is the dentist office for you! Not only do we offer nearly all types of dental services under one roof, but we also offer great financing options for local patients across the D.C. Metro Area. If you are searching for a dental office local to Alexandria or Ballston, the choice is easy. At Bloom Dental of Arlington, we are home to highly-trained dental professionals who treat you and family just like one of our own. Immediately after the moment you step in our dentist office, you’ll be greeted into a welcoming and warm environment. After that, you can allow our friendly staff to take care of all your family’s dentistry needs. Having your teeth routinely cleaned is important for patients of all ages. For small children, routine dental hygiene services will help develop healthy adult teeth later in life. 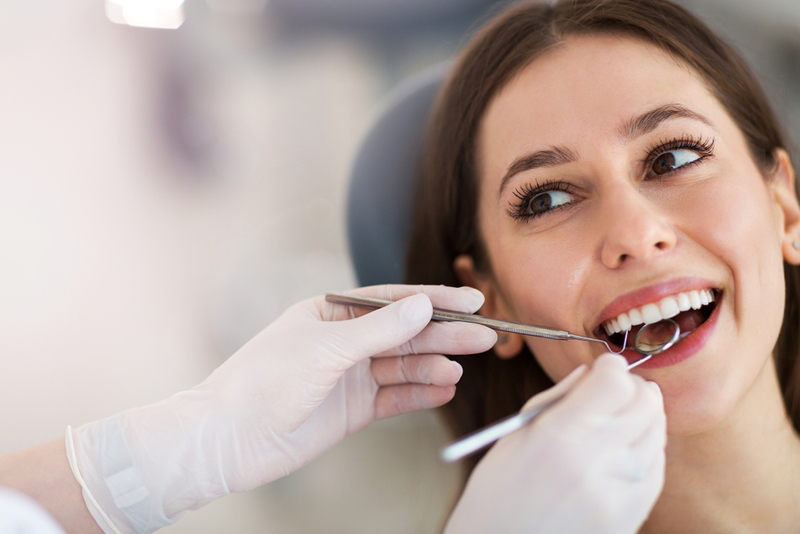 Through painless dental cleanings, as well as teeth whitening services, our dentists are also able to keep your teeth shining bright and make you feel confident in your smile once again. Our endodontic dental services consist of root canals. Root canals are a necessary treatment for preserving a tooth by stopping an infection. If you have excessive tooth decay or oral injuries that need to be addressed, this treatment may be your best dental option. Our staff understands the stigma around these types of treatments, which is why we always go above and beyond to alleviate any discomfort patients may feel. Bloom Dental of Arlington offers dental implants that help replace missing teeth, and provide a natural feel and look compared to your natural teeth. We also offer a variety of other cosmetic dentistry services. If you are looking to improve the quality of your smile and life, our dental implants and cosmetic dental services can help. When you need a dental service that restores teeth which have begun to decay, rely on our dentist office for composite fillings. We can match the natural look and feel of your teeth! Here at Bloom Dental of Arlington, we are committed to providing the best dental services in the Arlington and D.C. Metro Area. We have same day emergency dentists who can remove your wisdom teeth. Or, you can visit on a weekend and learn about the cutting-edge sleep apnea dental appliances we offer. We encourage you to reach out now to learn more about what makes us the best dentist office in the Arlington and D.C. Metro Area. For more information about the services, procedures, and financing options we have for local patients in and around Arlington, Fairfax, Tysons Corner, Ballston, or Alexandria, VA, give us a call or fill out a contact form on our website! Click here to learn more about Dr. Kousedghi!